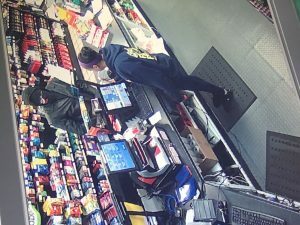 On December 24, 2018 at approximately 12:53 AM, deputies responded to Rocs Shell Station, 18404 Maugans Avenue, for reported armed robbery. The suspect entered the business and demanded money from the clerk. The suspects did not display a weapon but implied that he was armed. The suspect fled the business with an undisclosed amount of money. No one was injured during the incident. The suspect was described as a white male, approximately 6’ tall wearing all black; including gloves and a face covering. The male fled on foot towards Maugans Avenue, in the direction of the BP station across the street. Anyone with information in reference to this case is asked to contact the Washington County Sheriff’s Office at 240-313-2170. On December 18, 2018 at approximately 1:40 PM, Deputies responded to a residence in the 21100 block of San Mar Road, Boonsboro, for a reported disturbance with a firearm. 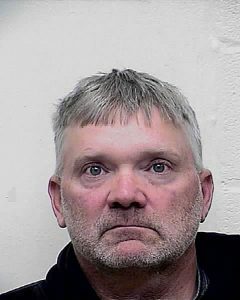 Upon arrival contact was made with a female who told deputies that a male, identified as James Michael Gigeous, 50 of Boonsboro, had physically assaulted her and pointed a handgun at her head. The female stated she and Gigeous started arguing earlier in the day, during the argument Gigeous picked up a handgun and paced around the house, but never pointed it at her. The female left the residence for work, when she returned later in the day she found the residence in disarray. Gigeous began to yell at her and the argument escalated to the point that the he pointed a handgun at her then grabbed her around the neck, choked her while repeatedly pushed her against the wall. The female was able to break free from Gigeous and flee the residence. Deputies obtained a phone number for Gigeous, who was last seen at the residence. Deputies called the phone number and Gigeous answered. He agreed to exit the residence without any weapons and was subsequently taken into custody without further incident. Gigeous was transported to Central Booking and is currently being held without bond at the Washington County Detention Center. Gigeous has been charged with 1st Degree Assault, 2nd Degree Assault, Reckless Endangerment and Use of a Firearm in the Commission of a Felony.